Hey guys, it’s me again, Sam. I know that I haven’t given you a chance to delve deep inside the iPhone lately (my most recent time to delve was the kitchen carnage), and now that I’ve gotten my hands on a certain app, I can be able to tell you about it. Over 3.1 million copies of this game have been downloaded to date! And it also features a 1.1.1 version! This will change the life of IQ forever. The app is none other than the brain-teasing Glow Puzzle. The tenth level provides a challenge that isn't too fair and "square." While all of those sum up for a thorough and enticing app, there is also a huge downside. This game is heartbreakingly cheeky from its head-spinning puzzles, and would not be a recommendation to anyone who lacks some strong intelligence. And I love a good challenge, but Glow Puzzle took it way too far. And to date, I remain baffled of how it received positive feedback. >:/ And how it got on peoples’ Androids? And Windows 7? Lies, I tell you! They’re ALL lies! Someone trying their hand at Glow Puzzle. Although it does boast some pretty good features, Glow Puzzle‘s final verdict is a 3 out of 5. And on the chart, that’s a Bad. 😦 No one wants a Bad app. So if they ever do release these new gadgets, or even a sequel to follow, maybe Nexx Studios can pick up their pace, slap themselves a few times, and start impressing us. Well, that’s all from Sam today! (Awwww…) Hey, calm down, guys! I’ll be releasing them every other day, starting today! (Yay?…) Which means I won’t be that lazy anymore! (YAY! :D) Hah! Don’t you just love scheduling posts? p.s. Check out some Glow Puzzle game reviews! Now, not to be offensive to any Annoying Orange fans, but I haven’t actually been up-to-date on Orange’s channel. But I have been finding out juice on his Facebook status, and a lot of it’s about a game. Not a Saw-type game. A fun game. Annoying Orange‘s first-ever game, to be exact. Have you ever wanted to be the KILLER of the kitchen? Now you CAN, in Orange’s first-ever game…Kitchen Carnage!!! Now, I really found out about this game on the Annoying Orange site, annoyingorange.com, and I got SO pumped about it. And I believe it just might sound like a slaughterhouse of fun. Now, it takes up the usual fruit-killer action of Fruit Ninja, but you’d find actual characters from the web series. You’d zing them into blenders to get blended. You’d launch them onto cutting boards to be knifed. But, if available, you can sling them into the cupboards, where you’d find characters like Pear or Marshmallow. People are already erupting on this game literally ever since Annoying Orange’s episode of the same name came out. YouTubers are already reviewing this game with positive reviews. IpodAppsEverywhere zinged a 4.5 out of 5 at Kitchen Carnage. Jojopet blended a perfect 5 out of 5 out of the game. Studiospaz even called it better than Bieber. Now, to get REALLY inside the iPhone. Think before the zing. Thought literally comes before EVERYTHING, and in this, it’s pretty vital. Like I said, the cheekiest strategy of this game is aim, and you got to keep some good aim. Aim is earned through thought. How to do this? ACTUALLY THINK! Should I zing it at the board for a nice, juicy knife-down? Or should I maybe pop it into the blender for a spinning, squishy death? And should I push it so high it reaches the cupboard? Or so low it bounces off the table? When the time comes to consume that opportunity, CONSUME IT! Or else you may not get the mega bonus or bonus time that will help save your five seconds left of slicing and dicing. Even DaneBoe (creator of AO) consumes the opportunity. And if you won’t consume it, talk to the Boedigheimer, girlfriend. People are saying that Kitchen Carnage is actually putting up a pretty good fight with Angry Birds, especially since AB has released its second app, Angry Birds Rio based on the new movie Rio. Who are YOU rooting for? Answer in your comment/email! So, Annoying Orange: Kitchen Carnage knifes up a juicy 4.5 out of 5. Different thoughts? Vote in the poll below. I guess that’s all for now…Oh, wait! I almost forgot. Sorry I forgot to smash this into my post, but check out DaneBoe actually playing Kitchen Carnage with 71,750 points! Feel the power of the SuperBoeBros! p.s. Are you interested in stopping by the App Store to slice up Kitchen Carnage? You can for a killer 99 cents! A cold-blooded steal! Also, if you don’t want to stop there, stop by to blend up the Annoying Orange soundboard app for free! As an extra bonus, you can also check out the sequels, Fragger: Bonus and Fragger: Lost City. And, yes, this IS an app for the iPhone, iPod Touch, and iPad for only $0.99! Fragger himself also wishes you a merry Christmas and a Happy New Year…so do I! p.s. Check out my new iNSiDE iPhone post about Fragger! Hey guys it’s Sam and guess what? I FINALLY have another app review! No, I’m not fibbing. I rly have a fresh, juicy new review ready! It’s for one of my favorite iPhone 4 apps to play…Cut the Rope. Think before you cut. The knife is mightier than the rope, but the knife must be wise in cutting the rope. Maybe you could cut 3 ropes, but maybe you’d be likely to cut 2 instead. If the rope overtake the knife, there no be 3 stars, there no be Om Nom nom nom candy, there be sad Om Nom. If you’re stumped, use a walk-through online. For instance, everyone just goes online to find out how to solve a Rubik’s cube. Maybe someone else knows how to solve a level and get all 3 stars, and you don’t. So what? Don’t get envious. Just be glad they know. End of story. This game is fun, and it only charges 99 cents. It’s definitely worth the payment and the time. Hey guys it’s Sam at Sammwak. No it’s not another iNSiDE iPhone episode. It’s something even better (I hope). It’s…Zombigotchi? It would be surprising if you actually got the game. I have no experience of it whatsoever, and maybe I’ll gaze at it in the future to come. Hey guys it’s another episode of iNSiDE iPhone at Sammwak, with your host, Sam (me). Now, today’s app is the best of the best…the juiciest of the juiciest…the fruitiest of the fruitiest…it’s Fruit Ninja. Now, obviously, you should know what Fruit Ninja is by now. If u don’t then…:/…Fruit Ninja is this freakishly fun and famous app where you swipe your finger across the screen. Why? In the game, your finger is a blade, and since ninjas loathe fruit, it’s your job to put these fruits popping up onscreen to a juicy end to their journey. I like this game because it’s really enjoyable how you can literally “be a ninja” without traveling to Japan. It literally explains to you how to be a ninja victimizing juicy fruit. Don’t go berserk, and swipe your finger all over the screen. Well, DUH! It never works. When you swipe your finger all over, a bomb might show up and you’re too busy going bonkers to notice. You might slice the bomb, and it’ll be the end of the line for you. Trust me…even I’ve done it. If u r unable to get a combo, keep your cool. It’s not the end of the world, kid. Combos in fighting games must take practice for the experts who were once clueless beginners. You’re just pushing yourself too hard. Relax. Calm down. 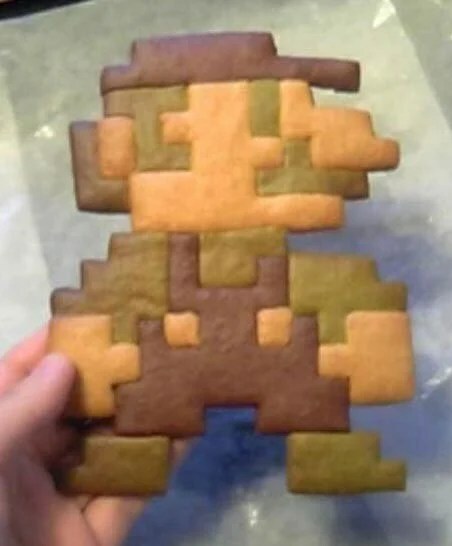 EAT A COOKIE! Don’t slice for fun, slice for them opportunities. Like always, a person must have something to live for. Me? I live for reading, writing, and (obviously) blogging. I’m that computer whizzy author bookworm-type of person. Even fruit flies. They live for fruit. Even fruit NINJAS. They live for slicing fruit. And speaking of fruit ninjas, don’t just slice for fun. Think of all the opportunities as a fruit ninja. Blazing hot blades, beautiful backgrounds…it’s all yours if you slice for that opportunity. Don’t hold back. Don’t back down. Don’t you want that funky blade that changes color swipe by swipe? Or that hot new blade that literally burns those fruit to ashes? Don’t you want that slick new background dedicated to Sensei? Don’t you? Huh? Huh? Don’t you? Don’t cha wish your boyfriend was hot like me? Don’t cha wish your boyfriend was a freak like me? Don’t cha? Don’t cha? Anyways, before I start thinking about the Pussycat Dolls, let’s go back to our review. One last tip btw…Never…give…up. Quitting ninjas? That just makes 0% sense to me. They would have to be kicked out of every dojo known to Japan. Afraid to use a board breaker, afraid to chop, afraid to do anything and everything…yeah, they’d be banned from every dojo known to Japan. Hey guys it’s Sam and I’m starting yet another segment on Sammwak! It’s called iNSiDE iPhone, and it’s where I post up app reviews of apps I supposedly like and have played on Chris’s jailbroken iPhone 4. And today, I’m reviewing Angry Birds. You should already know what Angry Birds is by now. If you don’t, then…*sigh*…it’s a game where some evil green pigs steal some birds’ eggs, and it’s up to the birds to strike back with a vengeance. They are flung through a slingshot, and have to smash their way through wood and glass (as far as I’ve been) to get to the pigs for them precious 5000 points. For each bird you DON’T have to fire when you have already killed both pigs, you receive 10,000 points. Do u get it now? The red birds are simply flung, and the bird’s reliable source is its momentum. Blue birds split into three smaller birds, and can have different targets on their pigs. Yellow birds speed up and dash directly into targets. Black birds explode on command or shortly before contact with an object. White birds drop egg-shaped bombs. Green birds, after being flung, fly back like boomerangs. Big Brother birds are like red birds, but are bigger and cause more damage. Despite the fact that I have only been up to blue birds for usage, it is still a fun game no matter how you slice it.